Cambridge Place Grand Opens new model homes next weekend on May 19. 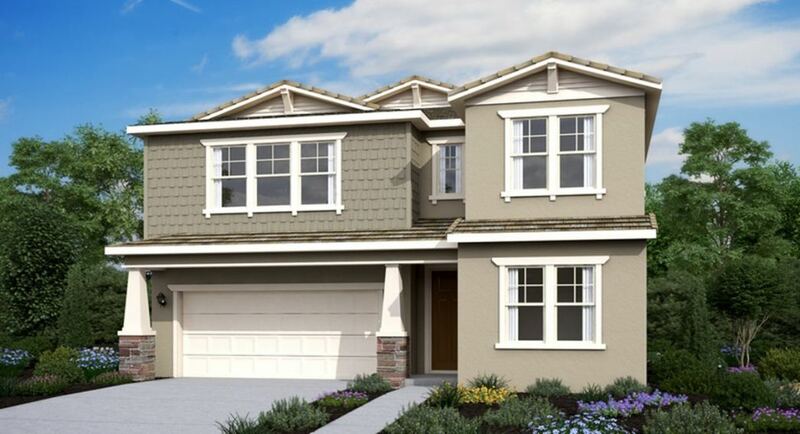 GILROY, Calif. - May 10, 2018 - PRLog -- Cambridge Place is a new community of beautiful single-family homes for sale in Gilroy by CalAtlantic Homes, a Lennar company. This community will Grand Open the model homes with a fun event on Saturday, May 19 from 11 a.m. to 3 p.m. and homeshoppers are invited to attend. "Cambridge Place is an incredible new community situated near the lush rolling foothills of Gilroy," said Morgan Sterling, Marketing Manager for Lennar Bay Area. "It's located near great recreation in a family-focused atmosphere. Our new homes also showcase modern layouts and features for an elevated lifestyle that meets the needs of today's busy families." CalAtlantic Homes has joined Lennar's family of companies to create the leading homebuilder nationwide. Together, the two are combined in their effort of helping families move into the next stage of their life with a brand-new home. Homeshoppers have four distinctive floorplans to choose from that range in size from 2,407 to 2,815 square feet of living space. Offering four bedrooms and three bathrooms, each of these home designs showcase open-concept layouts centered around spacious great rooms, gourmet kitchens with center island workstations and spacious pantries, second-floor laundry rooms and expansive master suites. Flexibile room options allow homebuyers to personalize the home of their dreams, with options that include dens, indoor-outdoor California rooms, additional bedrooms and more per plan. Featuring a small town atmosphere, Cambridge Place is located near award-winning parks, premier shopping centers, golf courses and the Gilroy Premium Outlets and historic downtown. Wine enthusiasts will delight in the variety of local family-owned wineries along the 28-mile Santa Clara Wine Trail. Quick access to Highway 101 also makes Monterey Bay, Santa Cruz, the San Joaquin Valley and San Francisco an easy commute away. The Grand Opening will take place on Saturday, May 19 from 11 a.m. to 3 p.m. at the Welcome Home Center, located at 8754 Baxter way in Gilroy. Visit us online (https://www.lennar.com/new-homes/california/san-francisco...) or call 669-200-6550 to learn more.